Home décor is one of the most important parts of our daily life. When we talk about home décor, we cannot ignore the walls which are the essence of any building. If you want your home to look cozy, you need to find some nice furnishings. However, what you need the most is a good wall décor. Wall decor can be very diverse depending on your imagination. It can be wall paintings, photo collages, wallpapers, pictures, fabrics and many more. The most popular type of wall décor that people use is pictures. 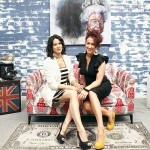 They speak a volume about the house décor. If you want to create a pleasant atmosphere at home, you can use pictures of a different kind. In this article, we will discuss 10 picture wall décor ideas which you can use for your bedroom, living room, and kitchen. You will see that using pictures in wall décor can be a fantastic experience and you can literally transform your home into something amazing. One of the things that can make your living room look royal is a big-sized painting that will fill the space on the wall. If you have an empty wall in your living room, you can select a painting depending on your taste and choose a perfect position for it. Make sure that the frame of the painting matches the color of your furniture. Since a big-sized painting is a large investment, make sure that you pick a painting you really like. You can also hang the large-sized or a medium-sized painting on the wall behind your bed. 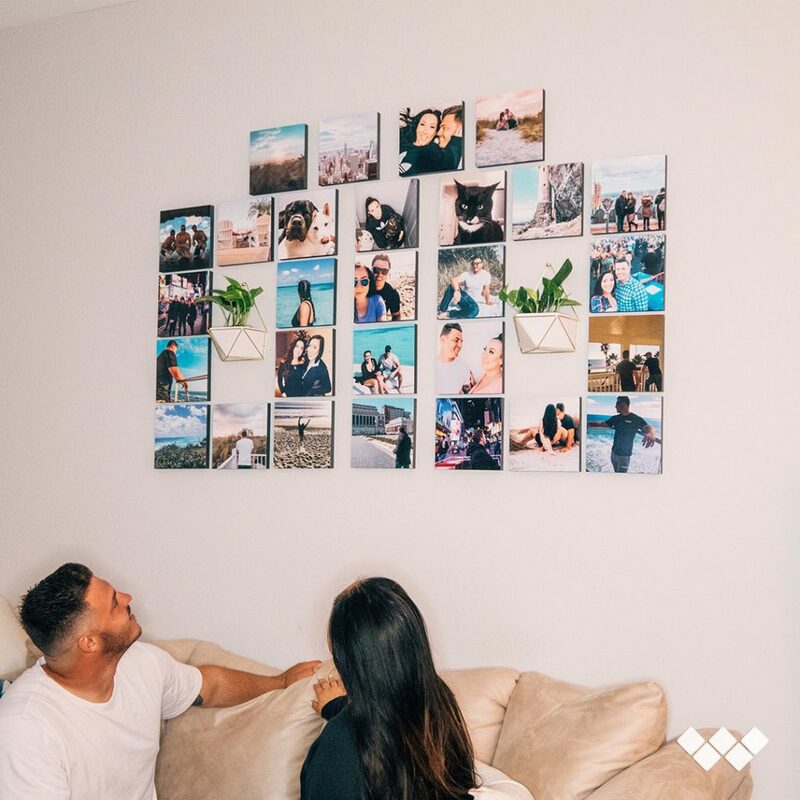 If you don’t want to spend your money on large painting or if you simply didn’t find anything that suits your needs, you can create your own perfect collage using several Wallpics tiles with a single picture printed on them. It is very easy since you can choose your own design for Wallpics photo tiles. You can also rearrange them on the wall and add more photo tiles if you want. If you don’t want to settle for one piece of art and want to decorate your home with different pictures, you can go with small-sized paintings. Any empty wall can be covered with beautifully arranged small-sized images. You can use some modern art or a painting by a famous artist and much more. Besides, you can print your favourite picture on Wallpics: some artworks can look very stylish with out frames. Photo frames are another picture wall décor that you can use. Print a big photo with all the members of your family, put it in the frame, and hang it in your living room. A good family picture gives warmth to your house. If you don’t like the idea of a big family portrait, you can take small pictures and hang them on the walls along with the other paintings. TV star Teresa Giudice and his amazing Wallpics gallery. TV star Nicole Franzel hangs her new beautiful pictures. Model Katie Stauffer and her new Wallpic. Reality TV star Kathy Wakile shows her fascinating photo-wall. Showgirl Kristina Schulman also joined Wallpics community. band or movie or anything that you like. or vice versa. Get creative and play with zigzags, geometric shapes, and patterns. them on the wall. You may also add some fairy lights which will make you feel warm and cozy. Actress Lindsie Chrisley shows her new beautiful photo. Taylor Nolan and her great photo gallery. Lauren Manzo shows how to arrange the Wallpics on the wall. Kathryn Dennis tells about her photo-wall. Mark Jansen unpacks his new Ashley. Now, if you want to go for a long-time décor, you can draw a painting on your wall. If you are an artist, do it yourself, or hire someone to draw the picture. This is a great investment as you get both décor and wall protection. If you want to do something really monumental, you can opt for carvings. This should be done while you are building your home as it’ll take a few days or even weeks. However, carving will give your home a classy look. You can also buy some carved tiles and hang them on your walls. Another solution for wall décor is the wall stickers. These are the best for the children bedrooms. The stickers can be stuck and taken off whenever you want. There are a lot of beautiful sticker designs you can find on the Internet, so get creative and don’t forget to ask your children what they’d like to get. So, these were interesting picture décor ideas for your home. Remember that house is your space, and if you want it to look the best, you should try and put your style in its decoration. This way, you will be able to create a space that suits all your needs and reflects your personality. You can use these picture ideas in any parts of your home such as the lobby, staircase, kitchen, and more. Just make sure that you stay creative and have an open mind towards the room decor. This entry was posted in DESIGN and tagged Interior design. Bookmark the permalink.